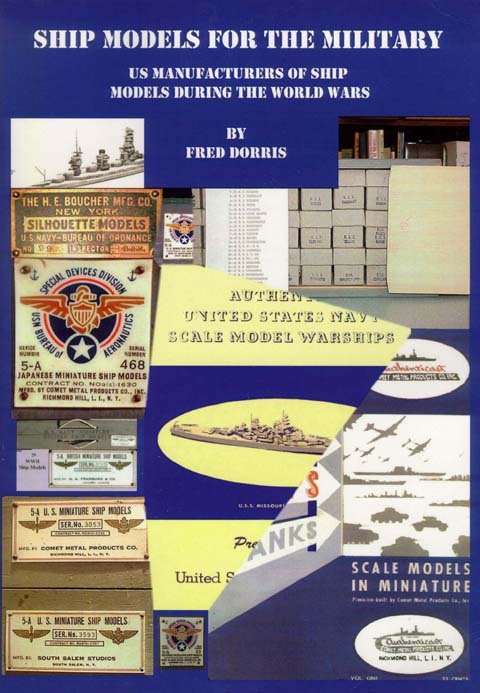 Daley Publishing has released a new book written by Fred Dorris that covers the history of US ship recognition models during WW2. 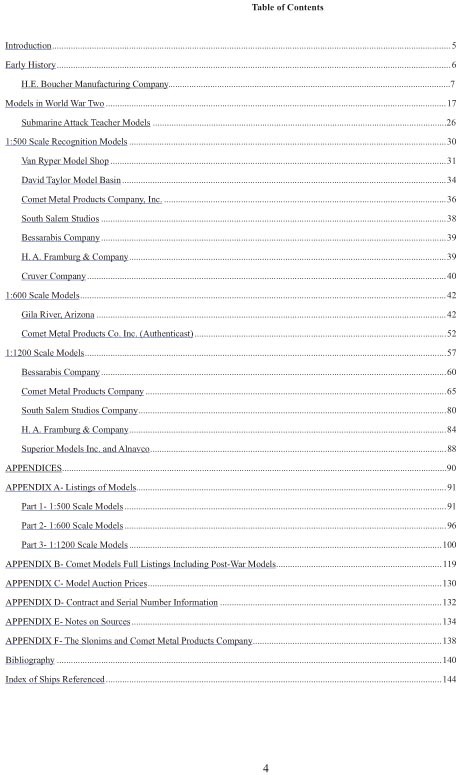 The book includes background on the first known models in the various scales. Emphasis is placed on the common scales of 1/1200, 1/500 and 1/600. 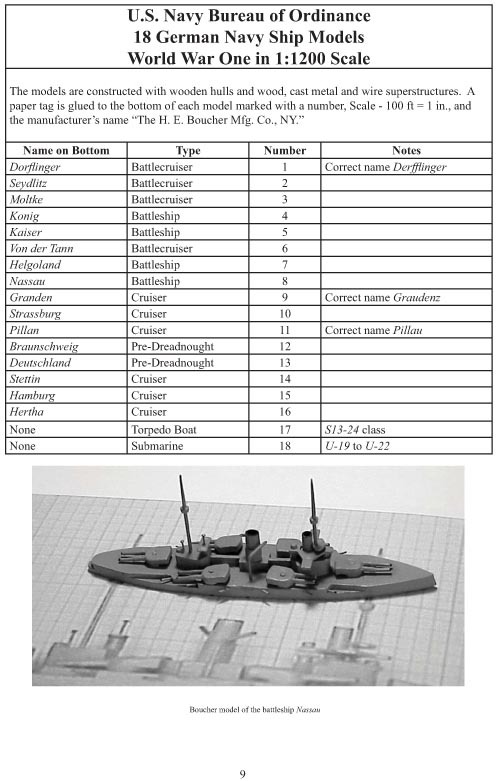 While printed silhouettes were helpful, having a 3D ship model to view from different angles was the best way to go. The recognition models and sets are highly sought after by the collectors today. This book includes histories of manufactures such as Bessarabis, Comet, Van Ryper, South Salem, Cruver, and Framburg. Also covered are the companies that developed after the war such as Authenticast and Superior. Listings of the ships produced by those companies should be helpful to collectors as well as a list of recent auction prices some have been sold for. There are reprints of some of the training manuals dealing with the proper use of recognition models that I found very interesting. 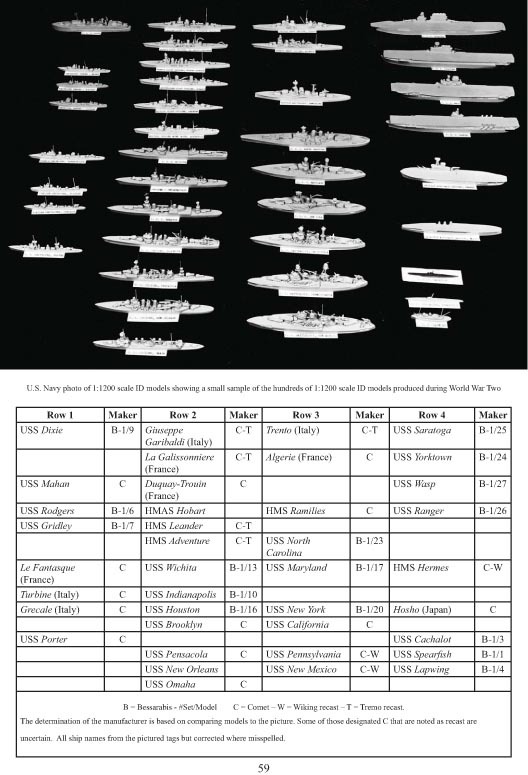 I have a lot of Office of Naval Intelligence (ONI) manuals and always wondered where they got the models for those illustrations. ONI plans for some of those models is also included. 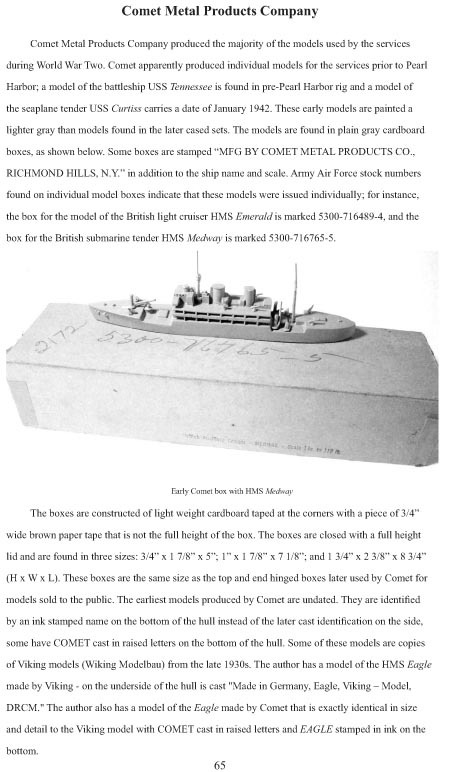 Especially interesting was the section on the Sub Attack Teacher Models, where Comet 1/1200 models were placed on motorized carts to simulate ships traveling at different bearings. The book includes over 100 photos and drawings of these ship models and is a fascinating history and guide to the history of ship recognition models. Grab a copy while you can. Check out the publishers website, daleypublishing.com for more details. You can get a copy from 1250ships.com, Morning Sunshine Models, or Amazon.com using the link on the right.